Do note, that these rings have a width, so the concentricity is good, but not perfect. 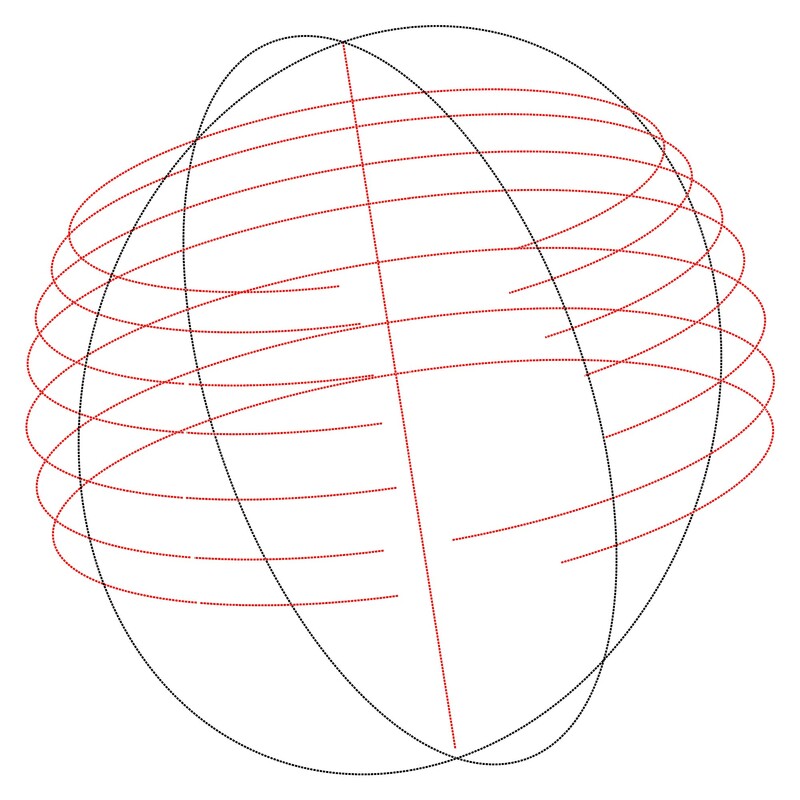 It is possible to draw slightly different circles. This patterns means that the mid Atlantic ridge, and the Pacific faults may be related. In the deep time paradigm, the ages of these features differ quite a lot, so one would look for very exotic answers to explain this. But if these are equally old, this may be explained by more simple answers, such as a powerful earthquake. 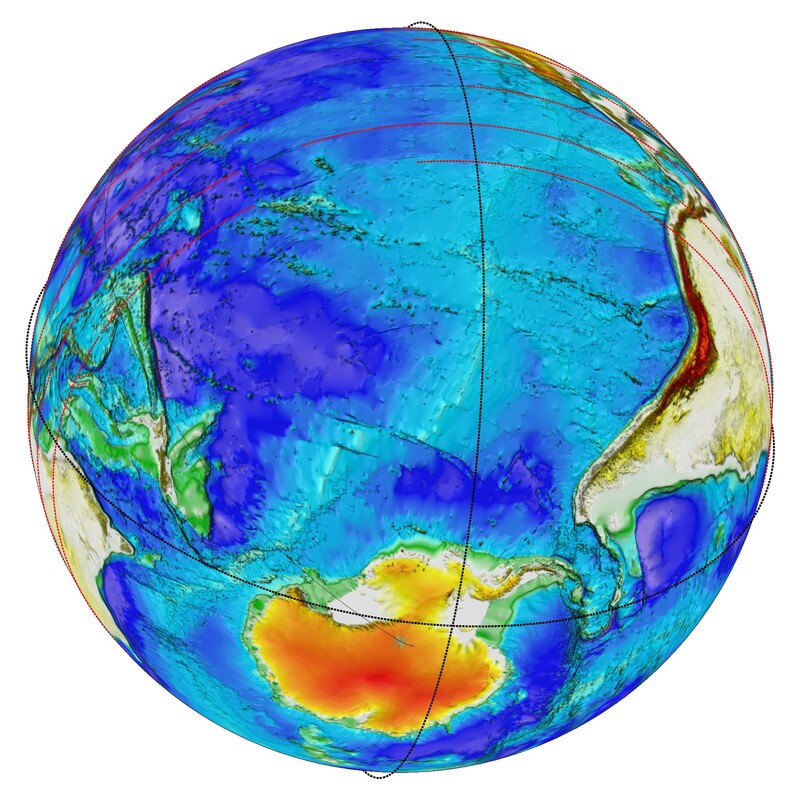 The earths interior differs per depth. Because of density differences, earthquakes are refracted, so they do not follow a straight path through the earth. 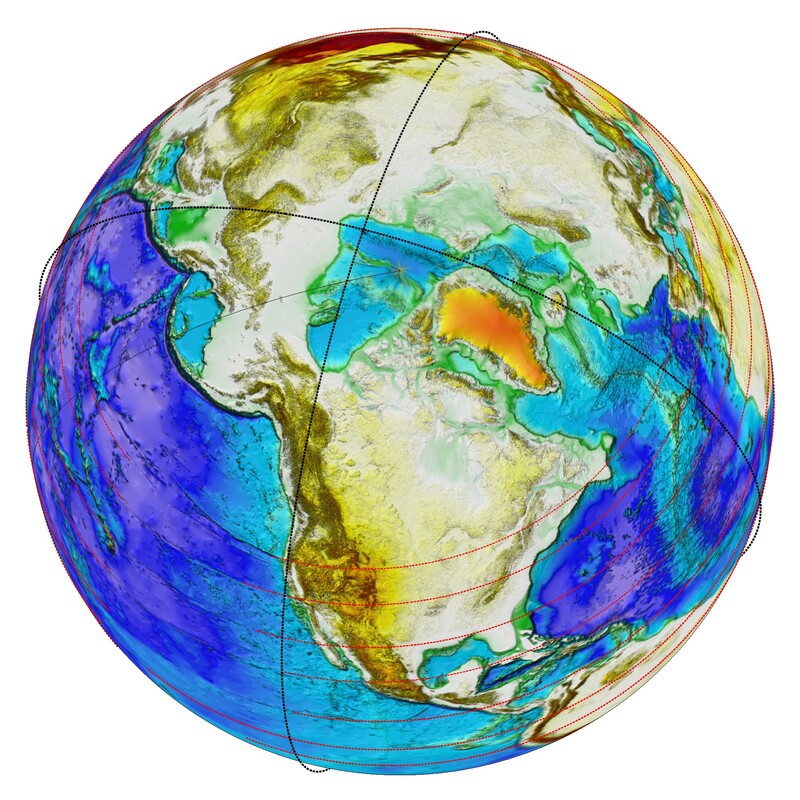 Thanks to this phenomenon, the density of the interior of the earth is mapped. Note that these are the longitudinal waves (p-waves). There are also transversal waves (s-waves), which follow a slightly different path. The result of this phenomenon is that earthquakes are not equally powerful everywhere. In some places, direct earthquake cannot be felt at all. This is called the “shadow zone”. Even in case of an extremely powerful impact, the earthquakes that travel through the earth cannot be felt in the shadow zone. This also means that at specific locations, earthquakes can be a lot more powerful than in the near adjacent area. This may be the cause of the concentric faults: if an area shakes heavily, while the area directly next to it stands still, this could fracture the crust. Note that there are also two types of surface waves which can be felt everywhere. These diverge towards the equator. From there they can converge again, towards exactly the other side of the earth (the antipodal point). So at the exact opposite of a powerful impact on the earth, there could be damage as well because of an antipodal effect. 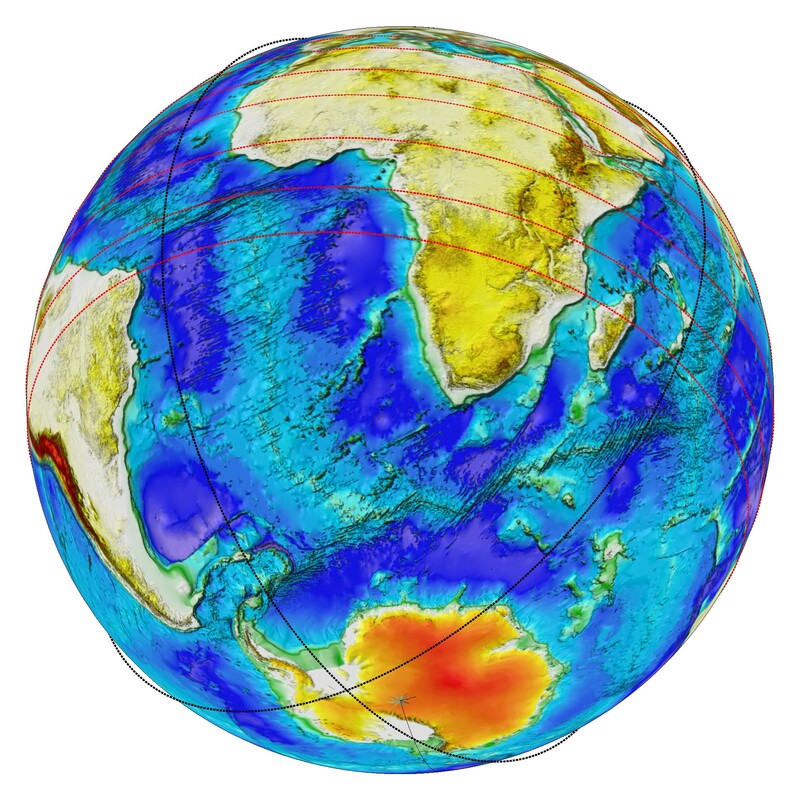 Another point that can be made is that, since this could be the result of a powerful earthquake, this may explain why the supercontinent Pangea ruptured into pieces: it is rather interesting that this concentric hole is located at the very end of the mid-oceanic ridge. 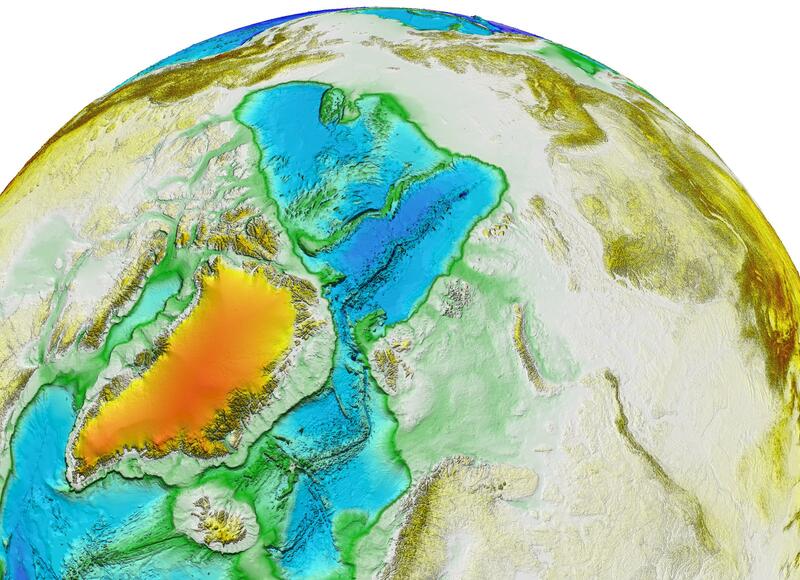 The hole at the northern end of the Atlantic ridge may be the result of a powerful earthquake. 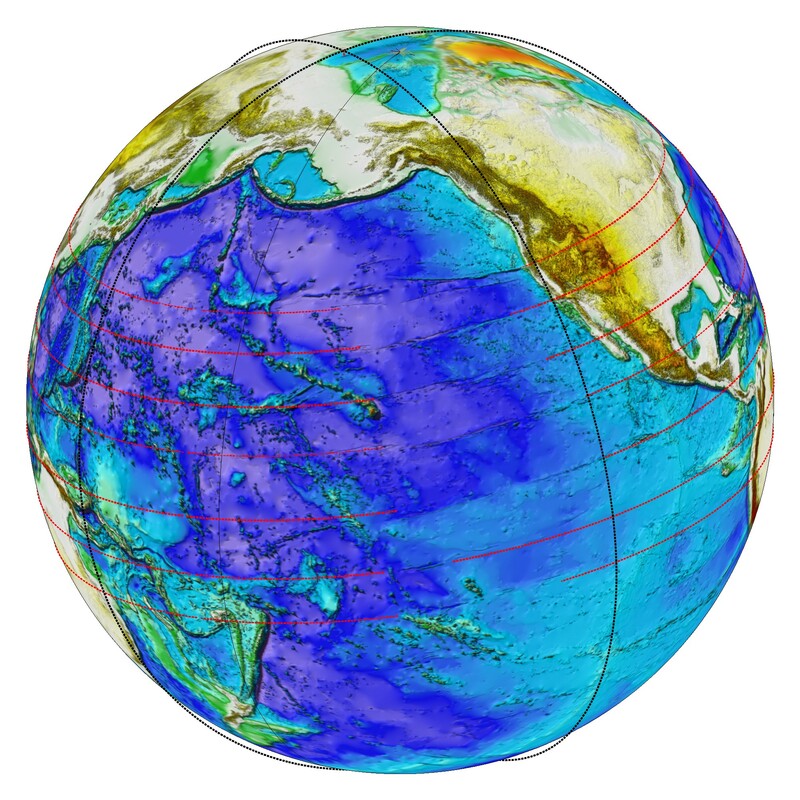 The faults on the pacific may be related to that earthquake as well. This earthquake could be the result of an impact. The impact crater could be at that hole, or on the exact opposite of the earth. It could also be that the impact happened elswhere on earth, and that these earthquakes are the result af a reflection of that powerful impact. And there may be other explanations possible as well. Either way, the concentric rings on the pacific should be considered a pattern. 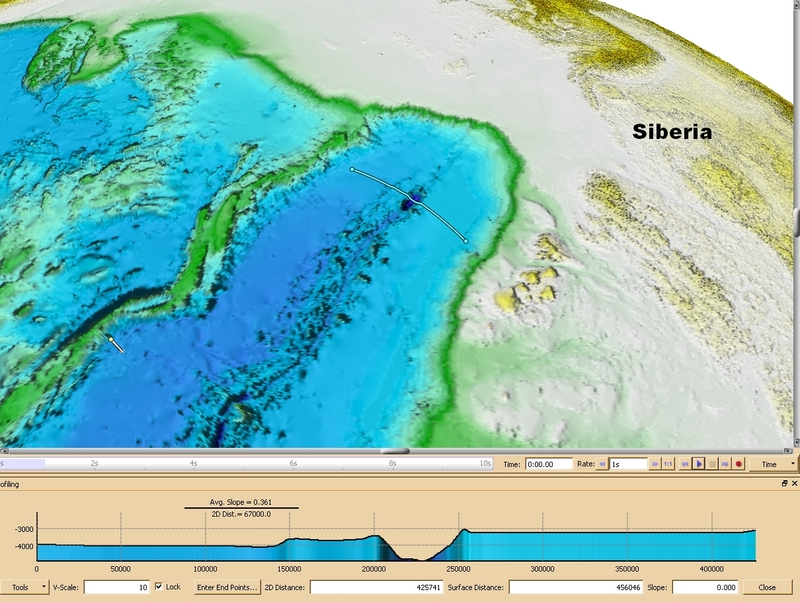 The hole in the mid Atlantic ridge can be considered related, which begs for an explanation.